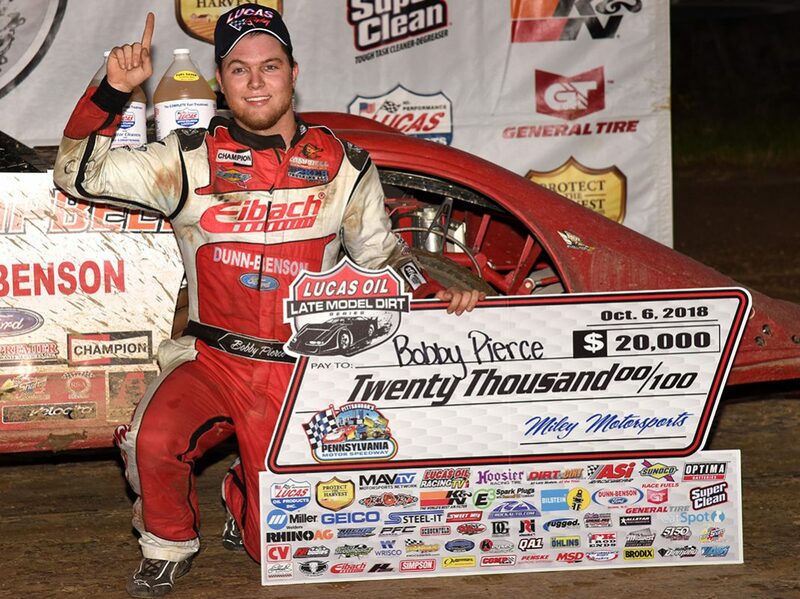 IMPERIAL, Pa. – Making his first start in the Pittsburgher 100 at Pittsburgh’s Pennsylvania Motor Speedway, Bobby Pierce roared to the lead on lap 91 and then pulled away for the $20,000 victory on Sunday afternoon. 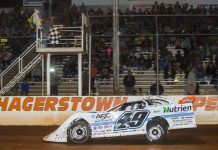 Pierce started 10th on the grid and pitted on lap 44 for a fresh right-rear tire before charging through the field and finally overtaking Owens in the final nine laps of the race – securing his fourth Lucas Oil Late Model Dirt Series win of the season. Owens crossed the line in second, with Earl Pearson Jr. taking third. Jonathan Davenport and Josh Richards completed the top five. Owens took the lead on lap 88 from Sheppard and held the point until Pierce’s momentum catapulted him ahead. Pearson pitted on lap 37 and also came through the field to finish in third. 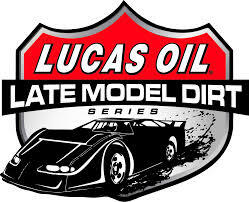 Bobby Pierce, Jimmy Owens, Earl Pearson Jr., Jonathan Davenport, Josh Richards, Tim McCreadie, Ricky Thornton Jr., Don O’Neal, Dennis Erb Jr., Darrell Lanigan, Chub Frank, Brandon Sheppard, Mason Zeigler, Michael Norris, Scott Bloomquist, Mike Marlar, Frank Heckenast Jr., Colton Flinner, Gregg Satterlee, Jon Hodgkiss, Kyle Bronson, Davey Johnson, Derek Stefanick, Boom Briggs, Alex Ferree.